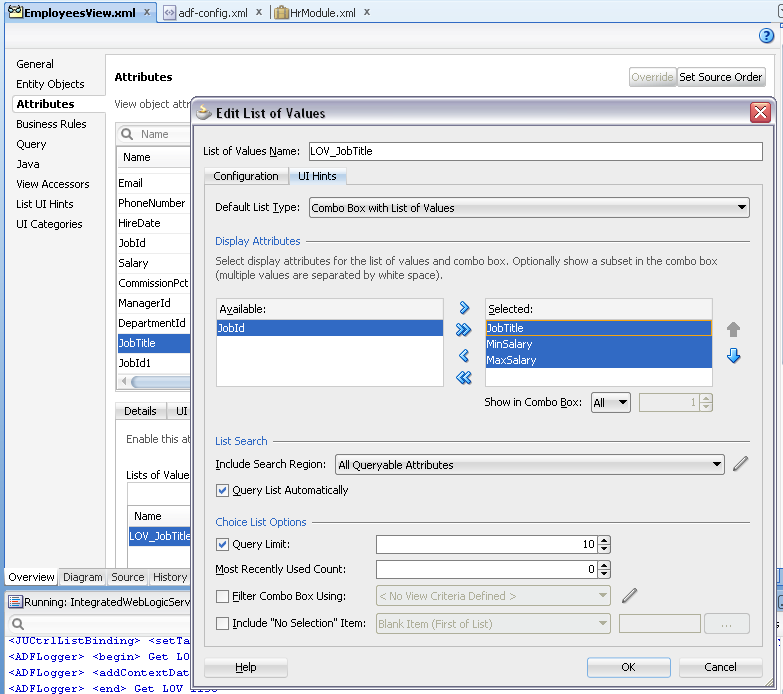 I was blogging last year about new type configuration in ADF 11g R2 and issue with BigDecimal - ADF BC 11g R2 - Java Extended For Oracle Data Type Map. 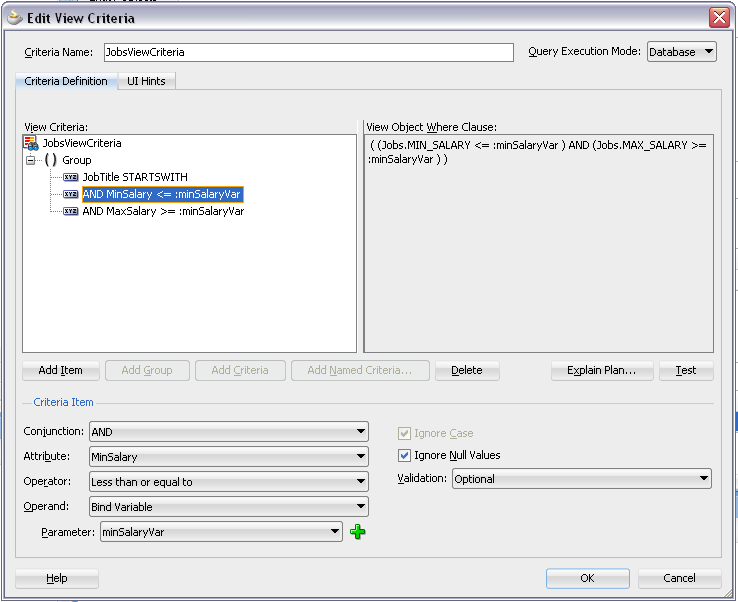 There is another bug related to Java Extended For Oracle Data Type Map - reproduced with Bind Variable defined from View Criteria for Timestamp type (JDeveloper 11g R2 generates different Timestamp in EO and for Bind Variable in VO). 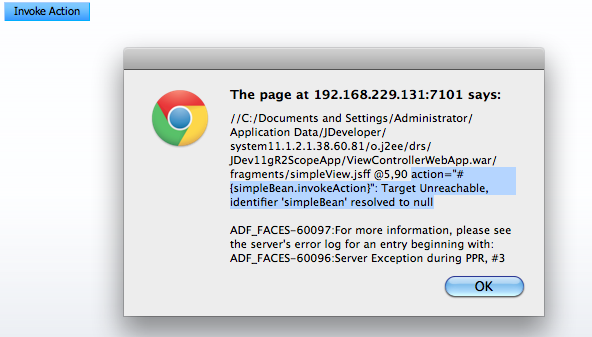 Let's understand why this error happens - it can be very frustrating to developers and disappointing as well. 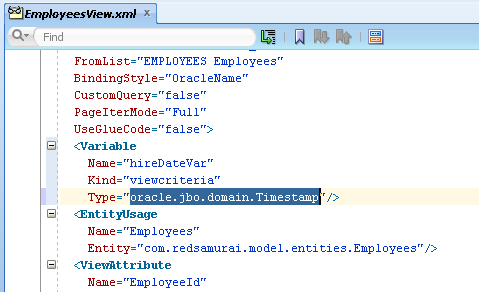 Stay cool, try to debug it - compare generated Timestamp type in EO and VO Bind Variable. 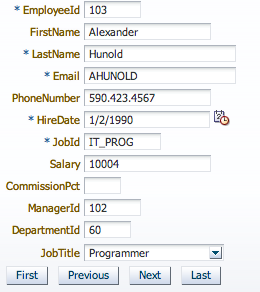 There is no way to change this through the wizard, only possible through source XML view. This is what we call - JDeveloper magic, powered by artificial intelligence :) Obviously on runtime we get error, because generated types doesn't match. 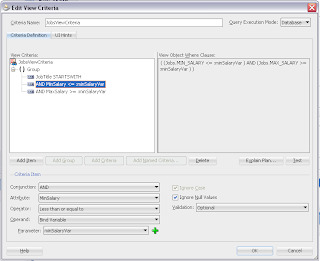 After this change, ADF Query will work without issues (at least related to described problem). 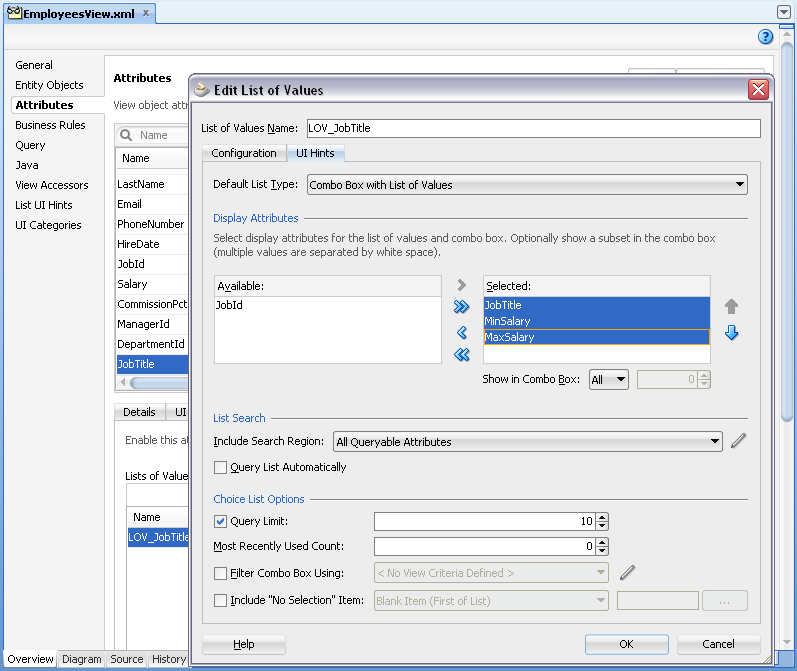 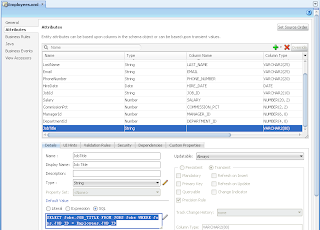 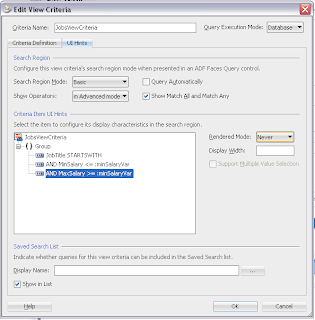 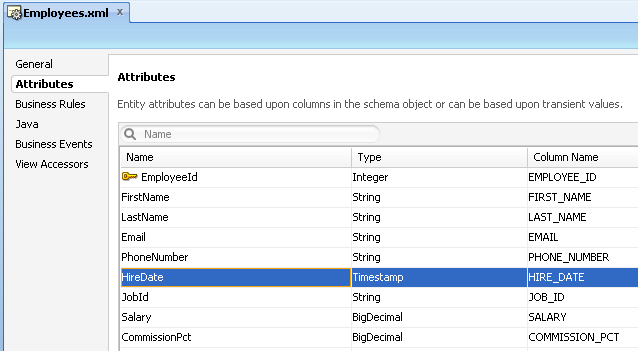 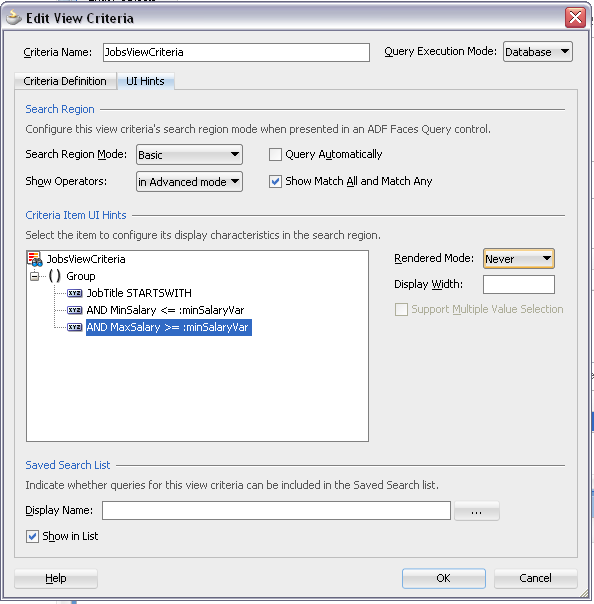 ADF Query supports out of the box between search operator. 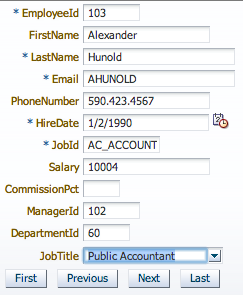 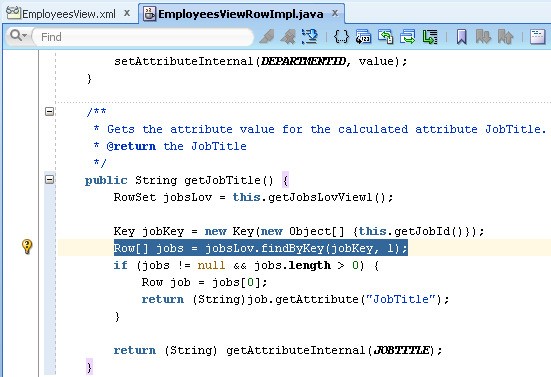 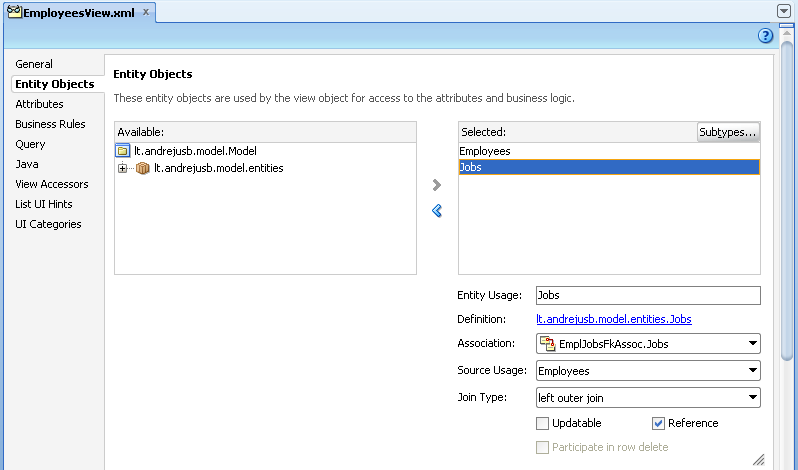 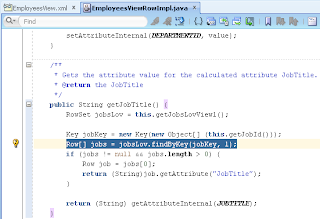 This operator is applied for single VO attribute, ADF renders two field (from and to) on UI to enter search range. 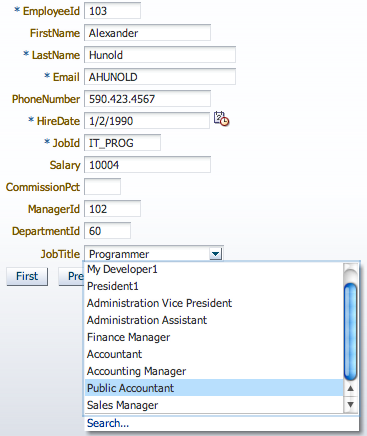 We may have different use case - to display on UI only one query field and in the background to search by two different attributes (minimum and maximum range value). 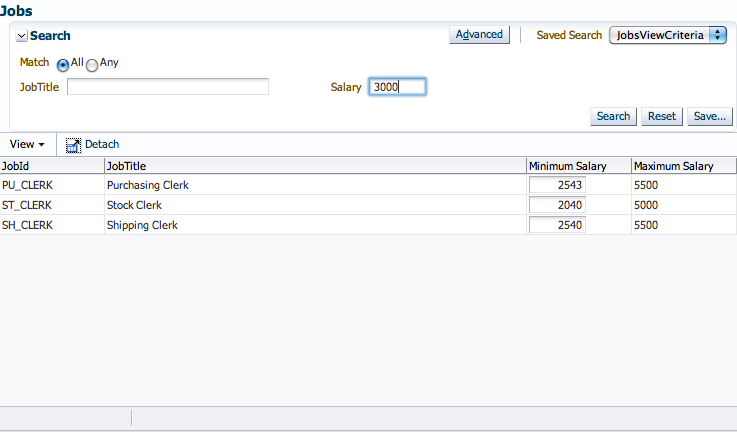 I will describe how to implement such use case, sample application is available for download as usual. Jobs table contains two attributes - Minimum and Maximum Salary. 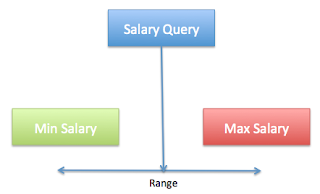 We would like to provide to the user only one field - Salary. 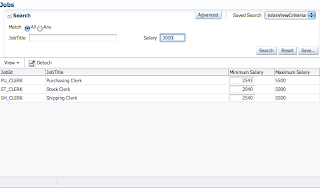 User will type value, execute search and get results where entered Salary value is in between Minimum and Maximum Salary. 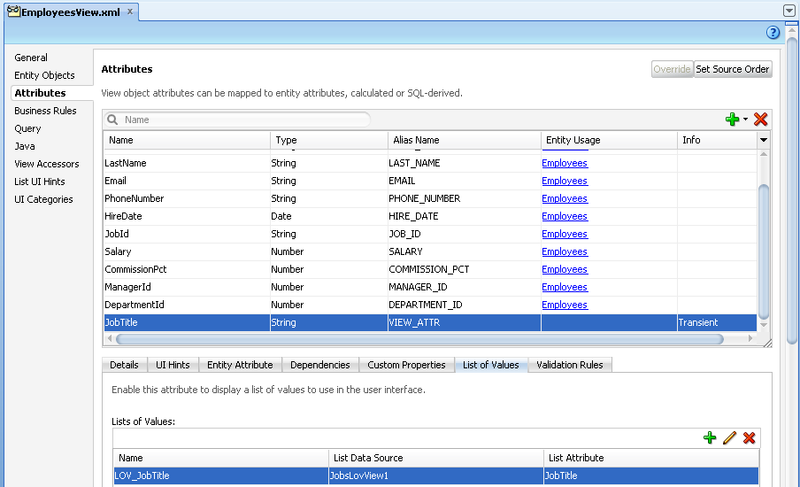 Of course you could use same attribute MinSalary in both ADF Query and for results table - however, then would need to define label for MinSalary appearing in results table inside ViewController. 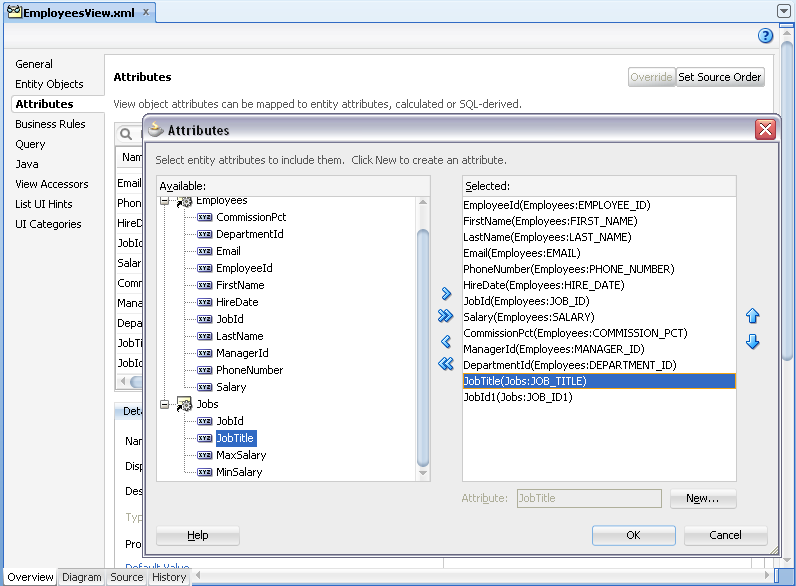 I prefer to keep ADF BC elements labels inside Model project. 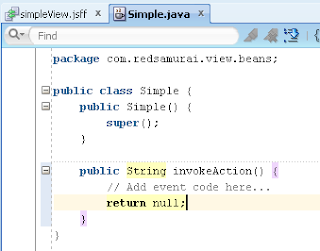 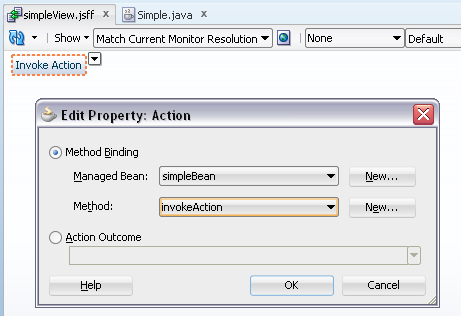 During recent training event, I have noticed students were struggling with JDeveloper 11g R2 issue - sometimes Action method from the button was throwing exception about invalid Action method name. 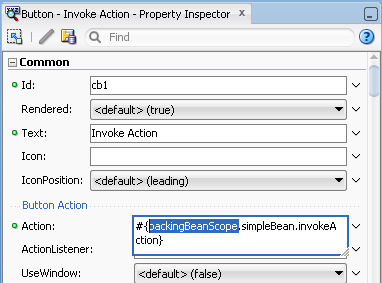 This happens because there is a bug in JDeveloper 11g R2 IDE, it sets wrong scope for Managed Bean expression call, when Managed Bean is defined in Backing or PageFlow scopes. 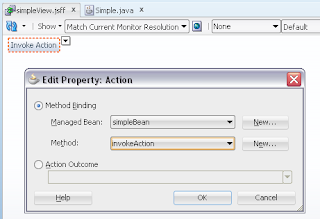 I decided to document this and describe the reason for Managed Bean error in JDev 11g R2, because is not so obvious for new ADF developers how to identify and resolve this issue. This bug is registered in our Ora-Bug Tracker. 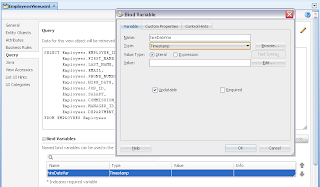 Download fixed sample application - JDev11R2ScopeApp.zip. 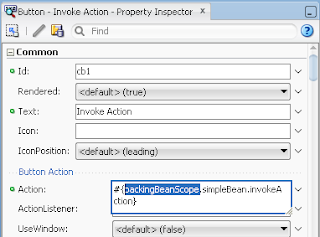 This bug is reproduced only, when we are editing Action property and assigning existing method from the Managed Bean - not when we create new method by generating Action binding (right click on the button and choose Create Method Binding). This post is logical continuation for my last post - Comparing Number of SQL Executions to get LOV Description Without Entity Association Available, where I was comparing number of SQL executions for different methods without involving EO association. 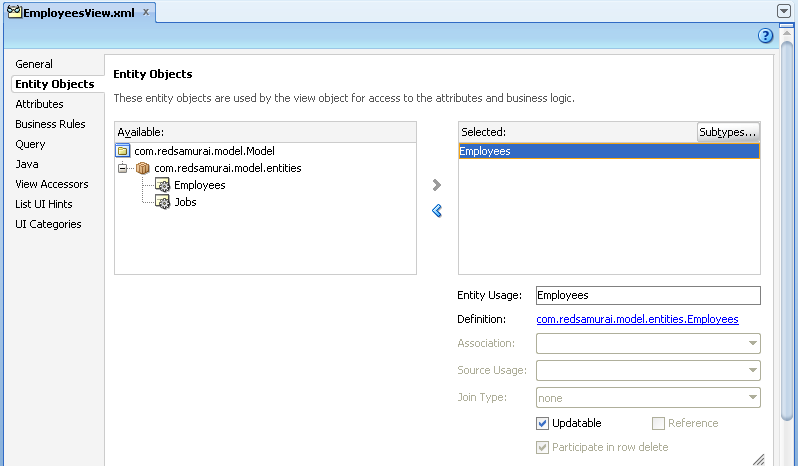 Today I will check how it works when EO association is available. 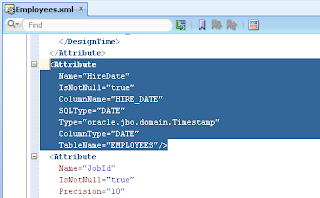 Keep in mind, all what is discussed in previous and this post is related to the case when we define LOV on description field directly, without showing ID value (most common use case, from my experience). However, you may get easier maintenance when using EO Associations, don't underestimate this. 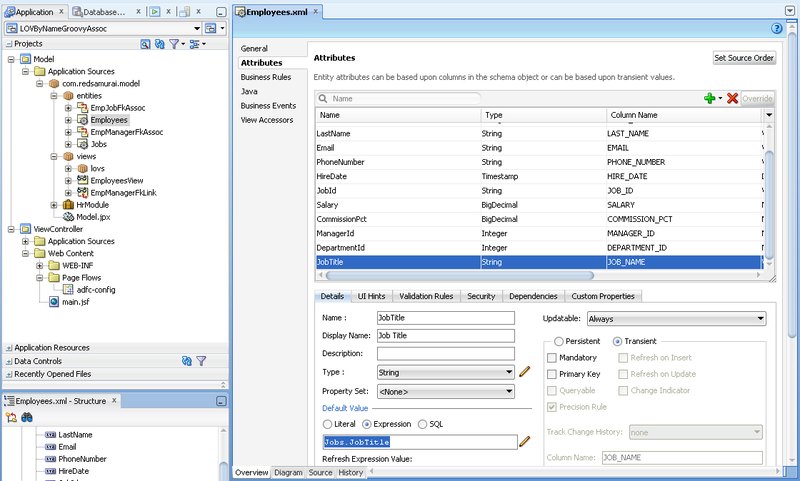 There always must be common sense, choose optimized solution, only where performance is critical. 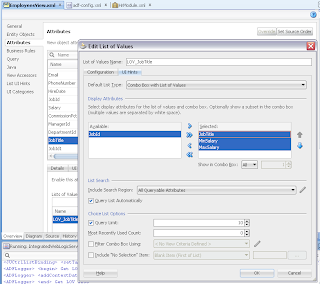 Standard approach (Association VO Join) works well, until you need to select value from LOV. 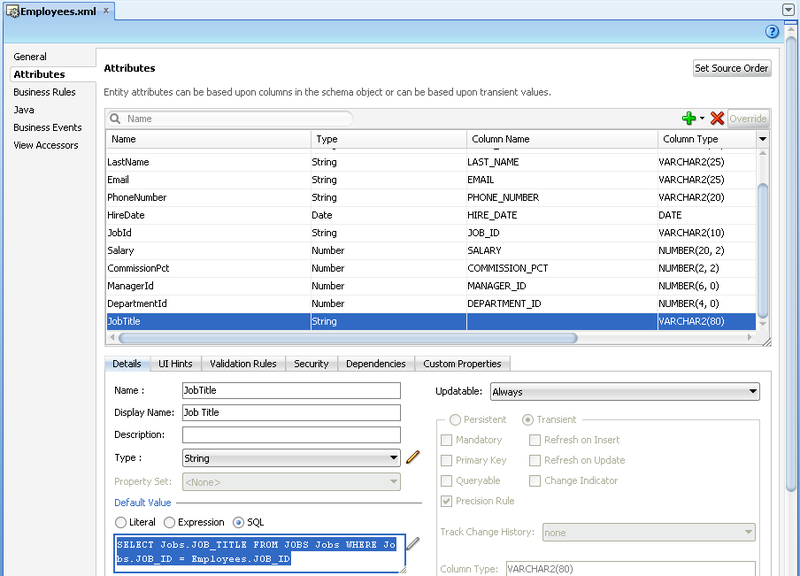 At this point, it executes multiple SQL's with WHERE clause ignoring DB indexes. 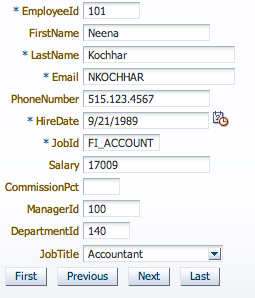 For some reason, it scans DB records by description you are returning (in addition to the search by key). 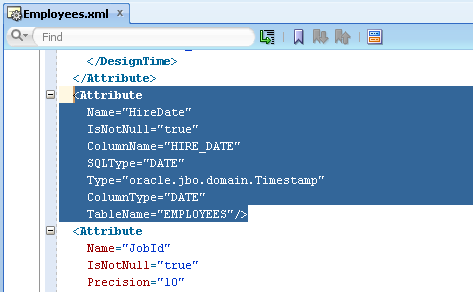 And even worse, it appends all fields shown in LOV to the WHERE clause through separate SQL. 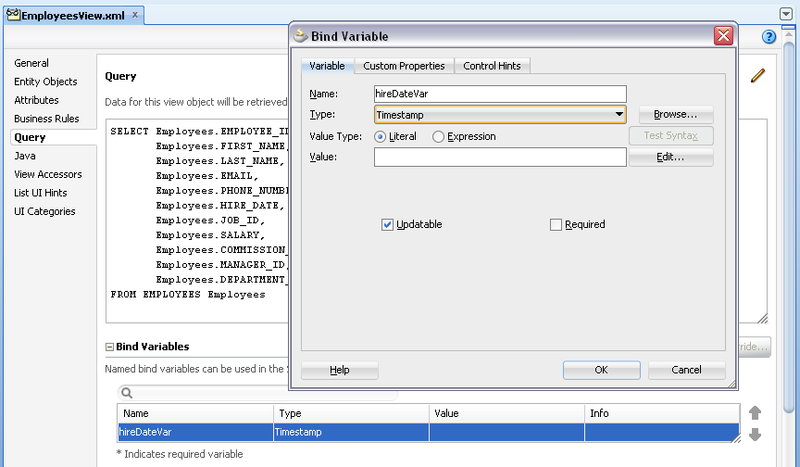 When speaking about performance, ADF developers should not rely only on the framework and do blind development. 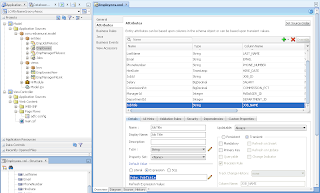 Its a must to check form performance proactively using different methods - AM pool disabled, JMeter stress test and finally monitor number of SQL executions. 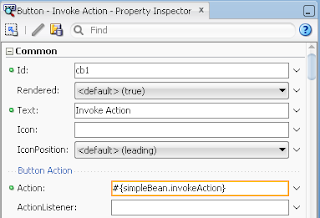 As for the basis for today post I will take bad practice for LOV implementation description - Bad Practice Use Case for LOV Performance Implementation in ADF BC, and will describe how to improve it. Bad practice use case (AM custom method execution from Groovy VO attribute), you can download from link above. 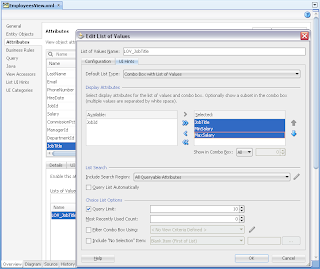 Improved solutions are available for download here - LOVByNameViewAccessor.zip and LOVByNameSQLEO.zip. 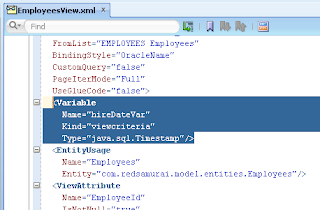 So, there will be three solutions compared: AM custom method execution from Groovy VO attribute, direct LOV VO View Accessor Find By Key access and finally inline SQL approach to retrieve LOV description value. 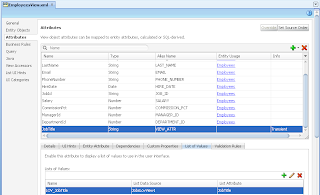 Keep in mind, all these implementations are not using EO Associations, this is because not always we can use EO Associations and I would like to make you think with this post about performance - so, you will not wonder why ADF system is slow. 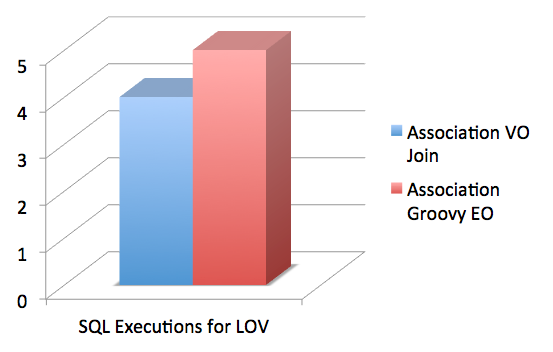 In my next posts, I will compare number of SQL executions for default LOV with EO Association available. 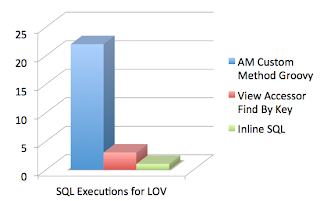 Number in the graph presents total number of SQL executions (A-D tests). 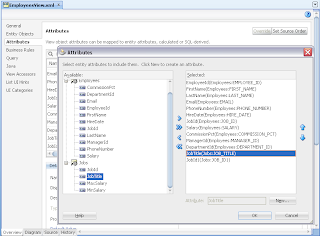 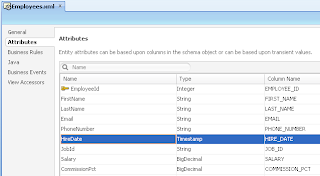 How to implement View Accessor and inline SQL statement approaches?